Blue Bowl's 2-Year anniversary was on July 11, 2018. We celebrated by having a fundraiser for Choc Children's Hospital and St. Joseph Hospital, our neighbors in Orange, California. Thank you so much for helping us reach our donation goals for CHOC Children's Hospital and St. Joseph Hospital! It's an incredible feeling to be able to help such a great cause. 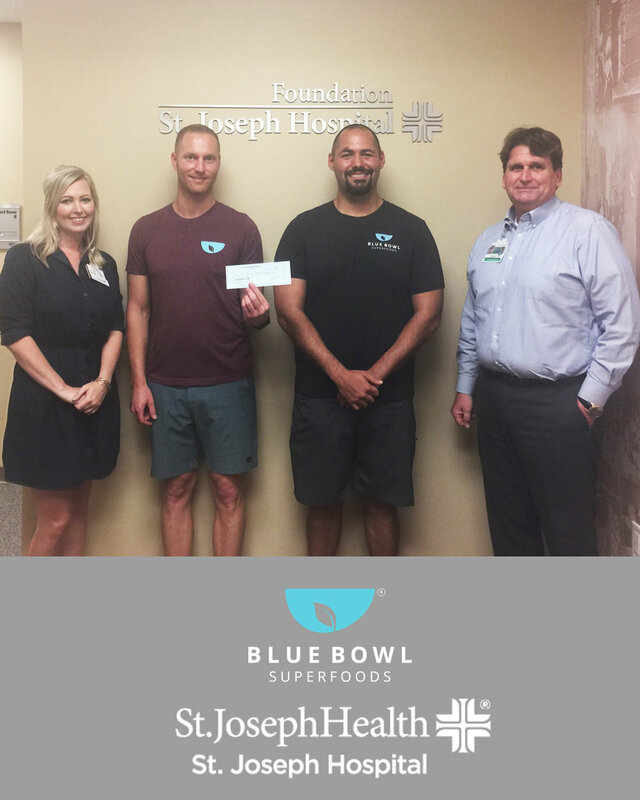 We couldn't have done it without our Blue Bowl community! You guys are the best. Thank you so much! Lastly, we also had a team celebration and hosted our first "Bluebie Awards" for our Blue Bowl Super Team! It was a lot of fun! We love our team and customers so much! THANK YOU!!! Thank you, Choc Children's Hospital! Thank you, St. Joseph Hospital! We hosted a "Bluebie Awards" for our employees! BBQ at the park with some good food & grub, best Sunday fun day with our Blue Bowl Super Team!